A few weeks ago I posted my everyday sun care essentials. Since then I’ve been on the hunt for swim pieces with SPF, and I found quite a few that were surprisingly cute. The Old Navy SPF pieces are less than $25, and I plan on picking one up soon. 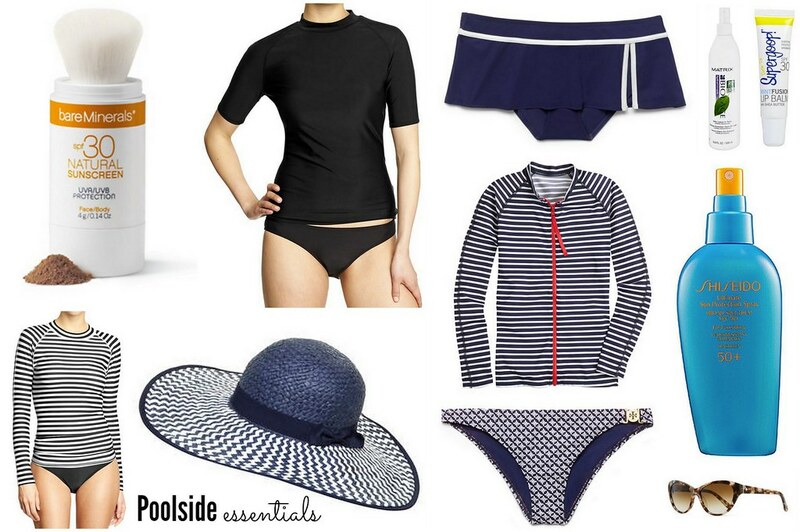 Above are some other SPF-infused swimsuit pieces and other sun care essentials. Speaking of sun, I plan on being out in the sun some this weekend. I hope to have some time at the pool, along with attending a few shows and the College World Series opening ceremony downtown tonight. Will you be spending time in the sun this weekend? Happy Friday!